When Gov. Harry Hughes went to Anhui Province in China in 1980, it became Maryland’s first foreign sister state, and China’s first province to connect with an American state, the beginning of many steps in its engagement with the United States. Anhui (Ahn-WAY) at that time was poor, and like the rest of China, just recovering from the Cultural Revolution. This week, Anhui province has sent its largest delegation to Maryland with the aim of increasing trade and tourism. Gov. Larry Hogan declared the week Maryland-Anhui Promotion Week, and “both want to re-invigorate the partnership,” said Lt. Gov. Boyd Rutherford Tuesday kicking off a two-day event at the Rockville Hilton. Rockville is “the new Chinatown for the region,” said Montgomery County Executive Ike Leggett, a frequent visitor to China. There are 50,000 Chinese Americans in Maryland’s largest county — a “large and highly educated Chinese community,” said Leggett — and a number of Chinese companies doing business there. Montgomery County Executive Ike Leggett addresses the Anhui meeting. Governor’s Office photo. The theme was repeated by several Chinese officials. Vice Governor Zhou Xi’an said the province wanted to “be more open and inclusive,” and would also “protect intellectual property” — a frequent sore point in U.S. trade with China. Anhui is now a major manufacturing center, with superhighways and high speed trains, one of four major sites of innovation and reform for the Chinese economy, officials said. Lily Qi, a native Chinese and assistant chief administrative officer for Montgomery County, emphasized the county’s friendly atmosphere for Chinese, in addition to its concentration of federal research facilities. She said the county government was seeking to make the Chinese New Year an official holiday for the public school system. Beside in its new industrial strength, Anhui is also home to one of China’s most famous sacred mountains, Huangshan (Yellow Mountain), with craggy peaks that jut above low-level clouds. The mountain is a well-known destination for Chinese tourists, but the province would like to attract more foreign tourists. “If you get to China and you don’t go to Anhui, you will surely regret it,” said Wan Yixue, director of the provincial tourism commission. 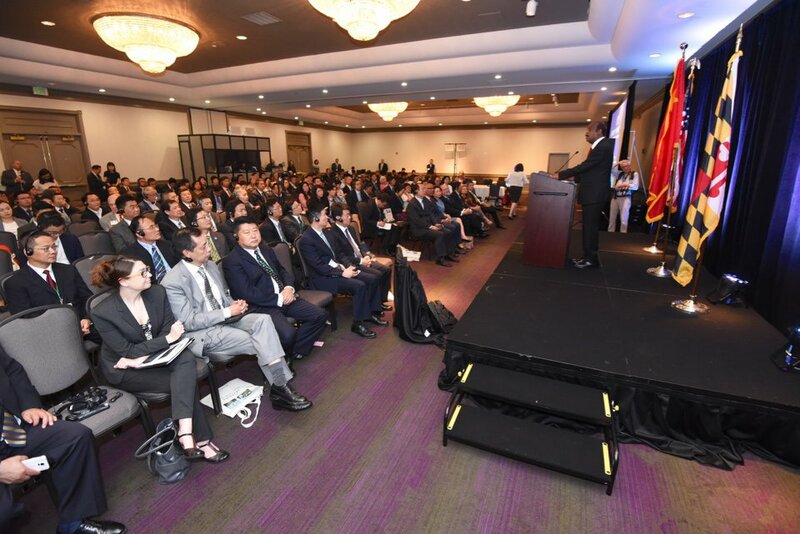 A number of Maryland cabinet officials and agencies participated in the Rockville event, but Anhui province was footing the bill for the conference expenses, according to Mary Nitsch, director of international affairs for the Maryland Secretary of State.